Item # 316577 Stash Points: 2,995 (?) This is the number of points you get in The Zumiez Stash for purchasing this item. Stash points are redeemable for exclusive rewards only available to Zumiez Stash members. To redeem your points check out the rewards catalog on thestash.zumiez.com. 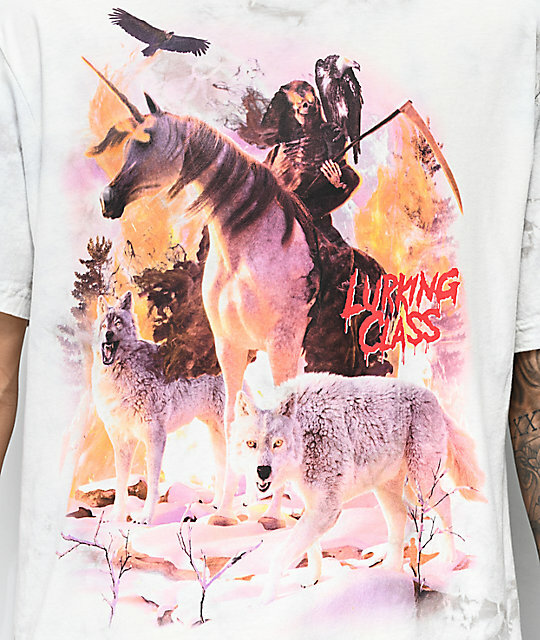 Pick up an epic new design from Lurking Class by Sketchy Tank, with the Uni Reaper Grey T-Shirt. 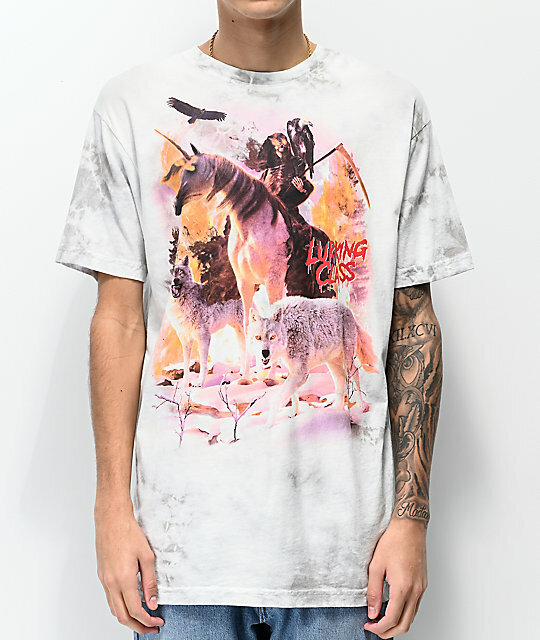 This 100% cotton tee features a light grey tie-dye treatment throughout, and displays a screen-printed graphic of the Grim Reaper sitting atop a unicorn, accompanied by two vicious wolves . Lurking Class logo text is added in red for signature branding, while a relaxed fit and crew neck collar keeps this epic tee comfortable. Uni Reaper Grey T-Shirt from Lurking Class by Sketchy Tank. 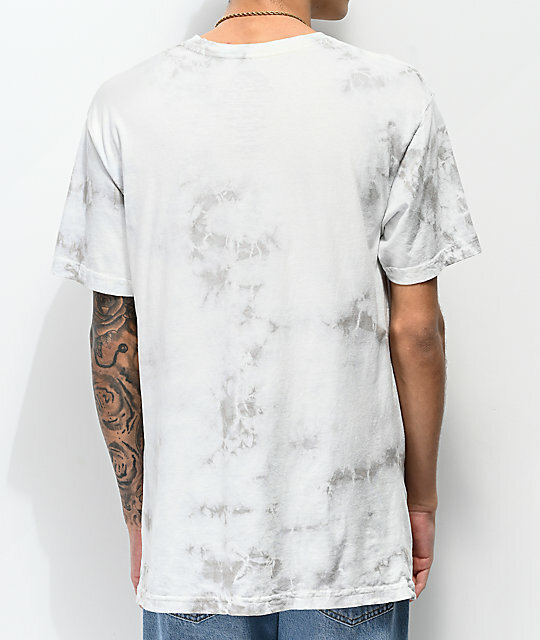 Light grey tie dye treatment throughout.